One of the most enjoyable aspects of being an MP is the opportunity to work with those people who day in day out provide the public services that we all rely upon, says Calder Valley MP Craig Whittaker, who recently spent time at Todmorden’s Royal Mail Sorting Office. “I recently had the opportunity to spend a few hours at the Todmorden Royal Mail Sorting Office which was followed by a few hours delivering the mail in and around Todmorden with one of our local postwomen,” said Mr Whittaker. “It was great to meet so many local people whilst out ‘on my round’. 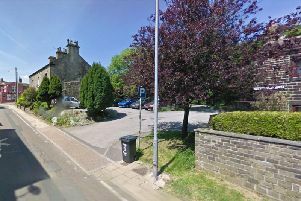 Our local postmen and postwomen do a great job, particularly given the difficult topography and the number of remote properties that we have in many places of the Calder Valley.